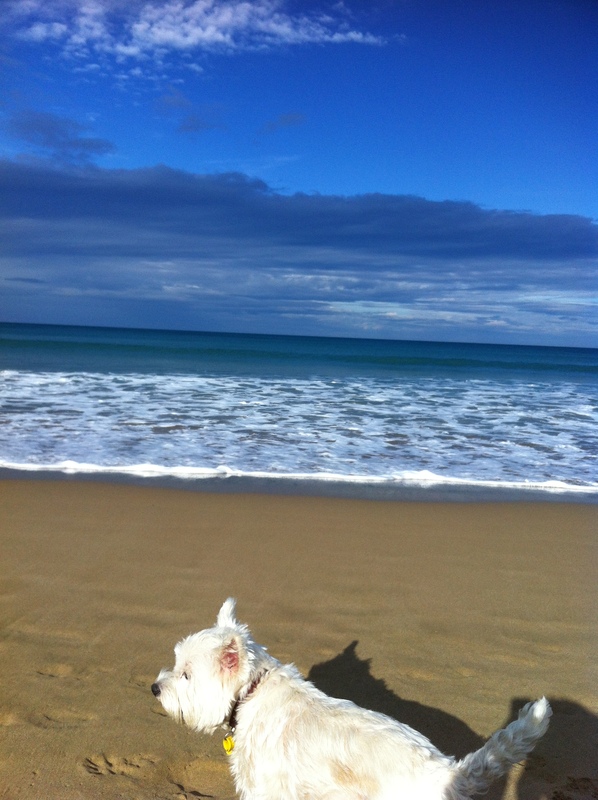 One of my favourite things to do in winter is to walk along the beach with my dog. There has been a few dogs now that I have done this with, Hannah my latest is dog number four. The one thing that always makes me smile when walking a dog is how far they walk compared with you. I wander in a fairly straight line while they dart all over the place going at least four times the distance as I do. You know with the keen sense of smell that there is so much more for them to discover, I feel rather left out sometimes. But them considering what they like to stick their noses into, perhaps not. While walking Hannah along the beach at Lorne yesterday a noticed all our prints on the wet sand on the way back and thought what a great pattern they would make, so at lunch time I started the picture. I think it shows how the walk along the beach went.